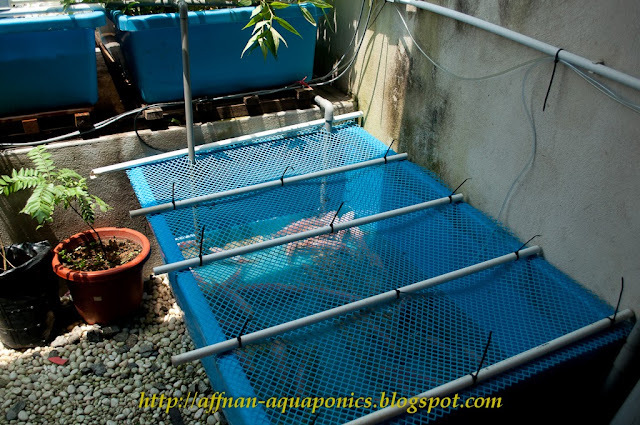 Catching all mature Tilapia and put them in separate tank. In main tank only fingerling, and more fingerling to come. 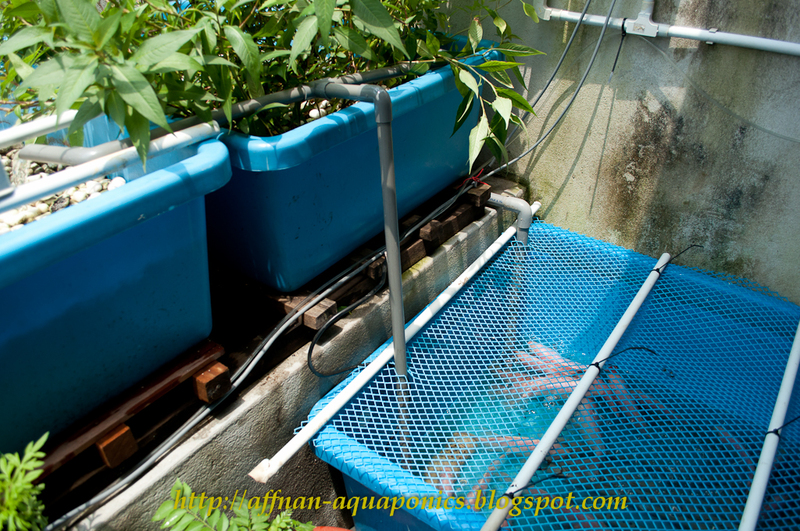 Holding them in this smaller tank make it easier to catch when needed. This tank is connected to main tank via a 20 mm PVC water bridge, this will ensure water circulation and a pump will feed this tank water to growbed hence taking ammonia away from it. Water is shallow in this tank, waiting for rain to get it higher. 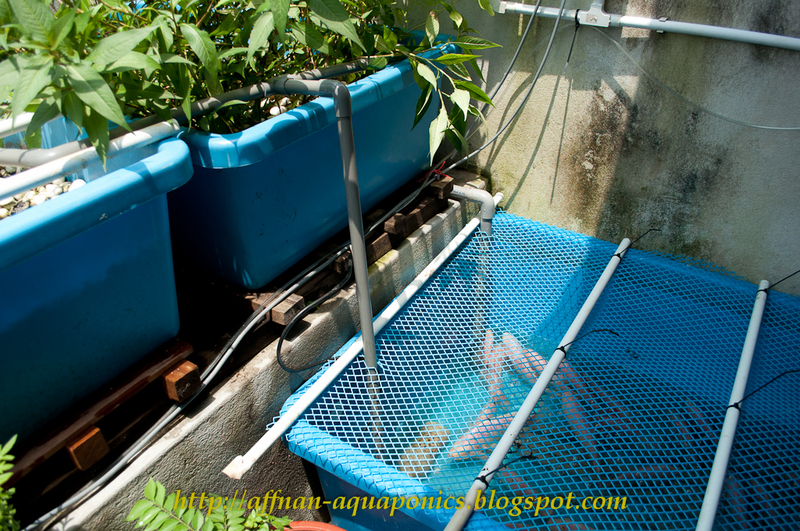 Those Tilapia constantly trying their best to jump out. They will stop doing so after few hours in this tank... probably due to new surrounding prompt them to do it. 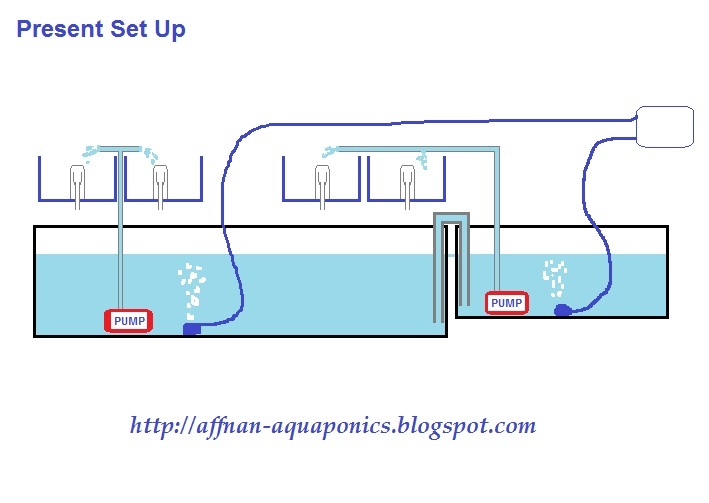 Above how my present Aquaponics arrangement looks like. 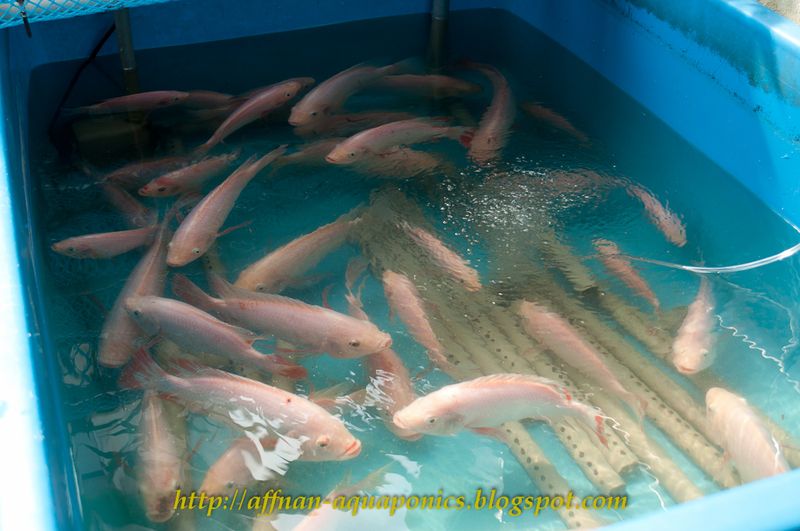 These fish are very healthy and the best part is I know what exactly they feed on..
A short video, while I am at it. 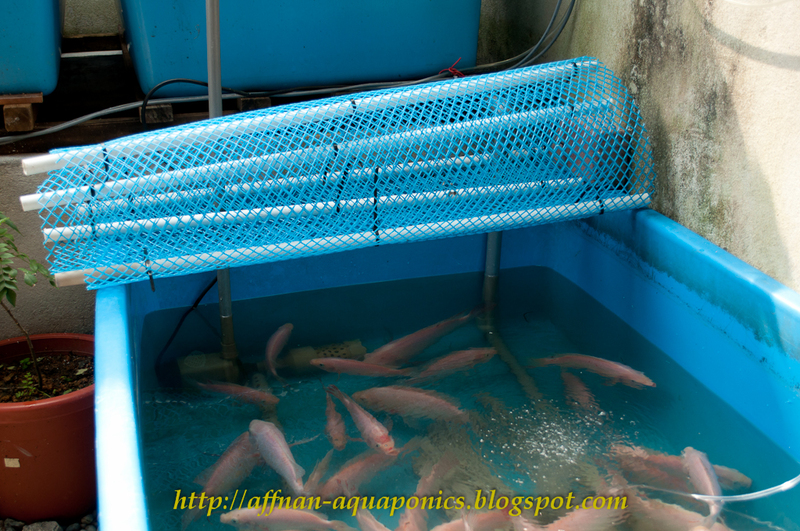 have you ever used other species rather than tilapia? Yes I have done Barb and Carp with some Cat fish. Live Fish - Anyone ?